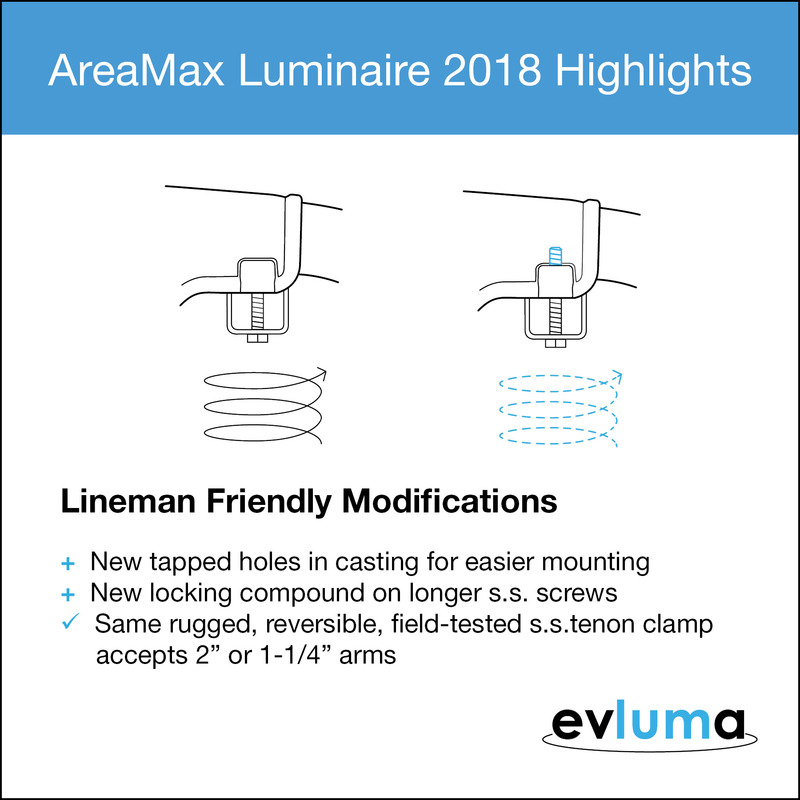 What’s new about the updated AreaMax? We’ve developed a set of blog posts that we hope you will find to be a handy reference. Its light-weight, easy-to-handle, design has boosted the AreaMax’s popularity with installers over the years. Just stop by our table or booth at our next tradeshow and ask to hold one. You’ll see! But we aren’t afraid to make changes if our customers ask for it. We improved the installation experience by tapping the bolt holes in the casting, lengthening the mounting bolts and adding a new locking compound. As before, all models of the AreaMax ship with our rugged, reversible and field-tested tenon clamp. The tumbled-finish, 304 stainless-steel tenon clamp accepts either 2 inch or 1.25 inch arms. We are often asked how much torque to apply to the bolts when installing. You can find the answer on our FAQ page, but we’ll also tell you here. We recommend no more than 75 inch-pounds. After the bolt has seated, make another ¼ turn to secure it. Do not over-tighten.